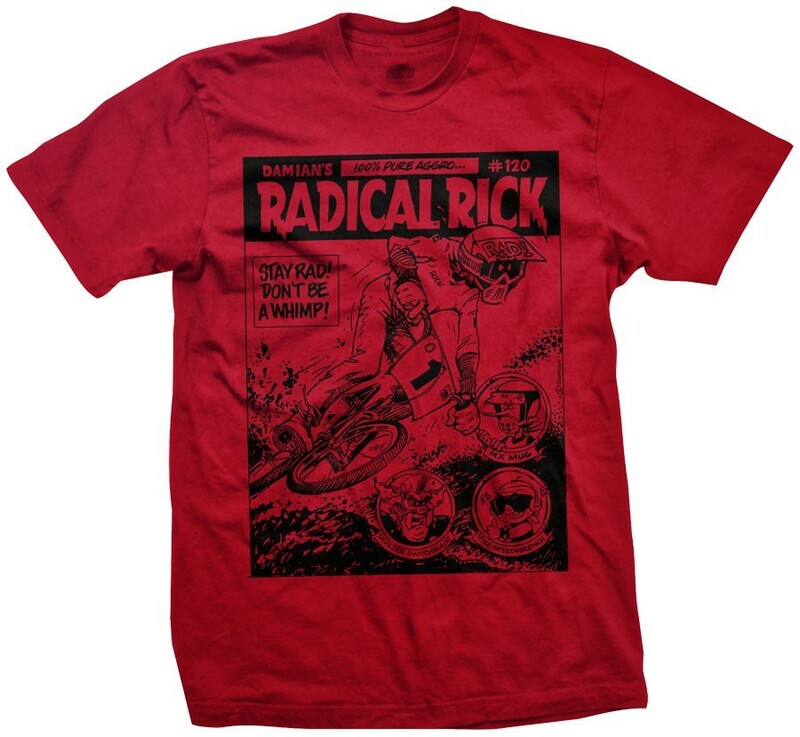 Uncovered from Damian Fulton's Radical Rick archives, this tee is sure to bring back memories of 80's radness! If you rode a bmx bike in the 80's, you know exactly who this character is. 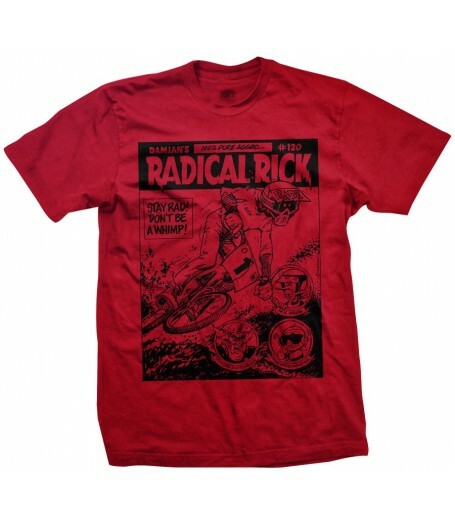 Red shirt with black graphic. Shirts are 100% soft cotton.